Ilya Grinberg graduated from National University L’viv Polytechnic with MSEE in 1979 and from Moscow State University of Civil Engineering with Ph.D. in Electrical Engineering in 1993. He authored and co-authored three books and over 50 peer-reviewed journal papers and conference proceedings. Currently, he is professor of Engineering Technology and Electrical Engineering Technology program coordinator at the Department of Engineering Technology and Director of Power Center for Utility Exploration at SUNY Buffalo State. 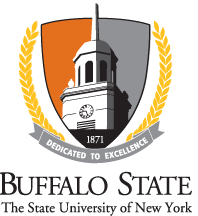 He is a recipient of Buffalo State President’s Award for Excellence in Research, Scholarship, And Creativity (2012) and SUNY Chancellor’s Award for Excellent in Scholarship and Creative Activities (2016).